The demand by Hamas that the blockade be lifted before even negotiating a ceasefire leads straight to the IMPORTANT question about its purpose. Was the blockade imposed because of the rockets or did rocket fire start because of the blockade? The answer will surprise many, including the BBC, France 24 and other influential mainstream media as well as politicians and journalists with short memories. When Israel evacuated the Gaza strip there was no thought of a blockade. Rather, as will be shown in this article, the intention was to improve the lives and economy of all Palestinians including Gazans by cooperation with Israel. The blockade wasn't considered until two years later when Hamas gained control of Gaza in a cruel fratricidal battle against Fatah and Israel's friendly hand was reciprocated with increased terror and rockets. It is highly relevant to remind opinion makers that although they have consistently referred to the blockade of Gaza as an Israeli blockade, it has been maintained jointly with Egypt during the rule of Mubarak as well as of Morsi and Sisi. It is interesting too, to recall that though Egypt has been a party to the blockade, rockets have been fired on Israel alone. Not one on Egypt. The Facebook page, ‘Jeunes Révolutionnaires Français’, JRF, or ‘Young French Revolutionaries’, posted the names and photos of 32 Jews. The assault on one of those listed took place on Thursday night in Bobigny, Seine-Saint-Denis, a Paris suburb. The assailants were armed with iron bars. From the 48 Hamas prisoners that have been captured, the intelligence have been interrogating them and the most terrifying, and horrific picture is being built. They are being investigated about the many tunnels that have been found and dug under many kibbutzim that surround Gaza. The most terrifying detail is being uncovered that Hamas had a plan to attack all the settlements and kibbutzim in the area this year on Rosh Hashanah with an invasion of over 200 terrorists into almost all the settlements in the area. The tunnels went under the kibbutzim under the kindergartens and dining rooms and other areas within the kibbutz perimeters. 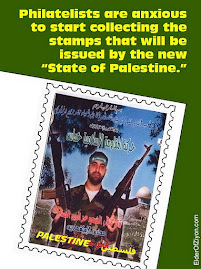 They planned to occupy the whole area and kill as many Israelis as possible. 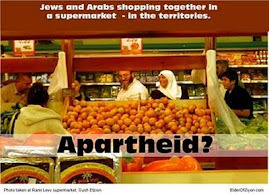 Anyone who cares about Israel should see the video; the link follows this message. Forget about politics; this has to do with Israel's survival.. The massive labyrinth of underground tunnels that is being found in Gaza and destroyed by the Israeli Defense Forces is proof of the intent of Hamas to annihilate the state. 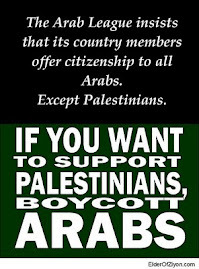 In truth, it is not only Hamas; Fatah, thought to be less dangerous, has also stated its standing with Hamas. Evidently Abbas has reached the conclusion that unless he hurries up and declares his support for the Palestinian "resistance" in the Gaza Strip, his people will march on his office and force him to quit. 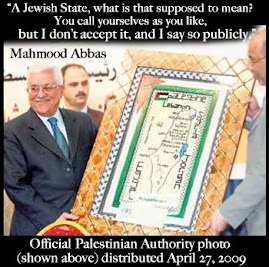 Abbas's fear of a revolt has driven him into the open arms of Hamas and Islamic Jihad. Another reason for the unexpected change in Abbas's policy might be the promise of financial aid he received from Qatar -- an enemy of Egypt's al-Sisi, but the largest funder of the Muslim Brotherhood and Hamas. 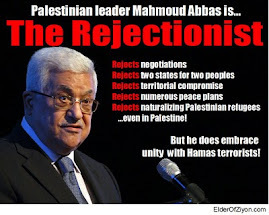 Abbas know that if he wants to survive, he will have to be on the side of the radicals. Until recently, Palestinian Authority [PA] President Mahmoud Abbas was very critical of Hamas and Islamic Jihad for their refusal to accept the Egyptian-brokered cease-fire with Israel. But now Abbas appears to have made a 180-degree turn and has even endorsed the conditions of Hamas and Islamic Jihad for a cease-fire. The shift in Abbas's position became evident after he visited Doha, Qatar, where he held separate talks with Emir Tamim bin Thani al-Hamad and Hamas leader Khaled Mashaal. Thus far, 32 members of Israel’s Defense Forces have been tragically killed while defending their homeland. Hamas has likely suffered more than 10 times that amount but that will be confirmed after the dust settles when an objective analysis, unmuddied by Hamas shills, can be performed . Every one of those IDF boys represents the salt of the earth but now is not the time for despondency. Now is the time for fortitude and perseverance. Just to place things in proper perspective, 6,000 Israelis were killed during Israel’s 1948 War of Independence. 700 died during the Six-Day war and 2,200 died during the Yom Kippur War. No one back then dared to question the nation’s resolve or suggested anything short of complete victory. The people of Israel were aware of the stakes. They were cognizant of the fact that a loss would spell disaster and so they persevered and endured and grieved only after the battle was won. A few more little known facts. Tiny Finland, whose population in 1939 stood at just under four million, suffered 26,000 killed during its heroic stand against the Soviet Union shortly after the outbreak of World War II. Twelve thousand American soldiers died in 1945 while securing fortress Okinawa, a spec in the Pacific which the Japanese transformed into a modern-day Shuja’iya. A tiny pimple of a hill on that island called “Sugar Loaf” produced a 7-day battled that claimed 2,000 US marine casualties. In the war in Iraq, the total number of civilian casualties has been conservatively estimated at 133,000. Conservative estimates for the war in Afghanistan of civilian fatalities are in the 21,000 range as of May 2014. 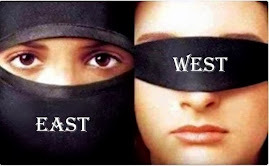 Nobody wants to see innocent civilians killed anywhere. Least of all, the government of Israel, which warns people to leave their homes by telephoning, dropping pamphlets, and issuing the warning of a light "knock on the roof" bomb to make it perfectly clear to "please evacuate a building, immediately." War is an ugly and a horrible thing. I am positive that the United States did not set out as its objective before entering into Iraq and Afghanistan to kill as many innocent civilians as possible. When rockets were flying into London, Britain and the Allies carpet bombed Dresden, it was not the objective; but before the days of embedded journalists who take heart wrenching pictures of beautiful, wounded children or crying mothers, people actually fought wars to win them. 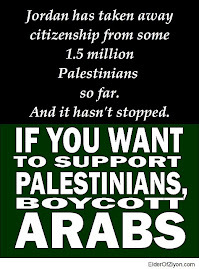 However, in the twisted, distorted morality of Hamas and the Palestinian Authority, who is equally culpable of playing this "numbers game" and shouting "war crimes" at the United Nations, the Palestinian leadership has been encouraging people not to evacuate their houses as the Israeli government has warned them to, but have sent out statements to "Use your chests as brave weapons against the Israeli bombs" so that these people might become yet another morbid statistic. Photographs of civilian suffering during a war are a key fighting tool, sometimes one that can tip the balance. The reason is simple: Hamas has more of a media strategy than a military one. Hamas is calculatingly focusing its efforts on war tactics intended to promote a sophisticated media strategy that has the potential to threaten Israel's basic security. 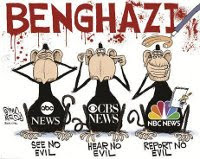 In this offensive battle, Hamas can depend on the most lethal weapon of all -- international media and public opinion. As a sovereign state, Israel must stand stalwart in the face of Hamas' threats, and as a state committed to Jewish, democratic values, Israel tries tirelessly to minimize harm to Palestinian civilians. Still, when waging war against Hamas, Israeli values like steadfastness and morality can become an Achilles heel. To maximize harm to civilians, Hamas fighters operate under the cover of women and the elderly, shoot from inside ambulances, stockpile rockets in schools and prevent civilians from fleeing the places where the fighting is going on. This side of the war is noted only occasionally by journalists covering the conflict. 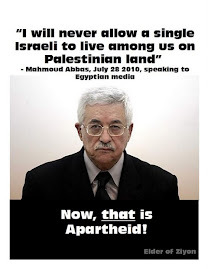 Fatah: Abbas presents fighting Israel as religious "war for Allah"
"Let's turn the land into hell for the enemy"
"[PA] President [Mahmoud Abbas] concluded his brief speech with the first verse of the Quran that permits Muslims to wage war for Allah." Presenting a conflict as a religious war can have dangerous implications. In September 2000, Yasser Arafat said that then-Israeli MP Ariel Sharon's visit to the Temple Mount defiled the Al-Aqsa Mosque. He used this claim as a guise to launch the "Al-Aqsa Intifada" (i.e., second Intifada) terror campaign, which led to the deaths of over 1200 Israelis and tourists and 4000 Palestinians. In 2012 the PA's highest PA religious leader, the Mufti Muhammad Hussein, presented the killing of Jews by Muslims as a religious Islamic goal. Fatah also claims to be currently participating in fighting against Israel and announced that they have killed a soldier near Hebron. 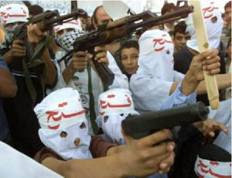 In addition, Fatah is calling on its members to engage in violence. Palestinian Media Watch documented earlier this week that Fatah glorified nine female terrorists, including eight suicide bombers, who all together killed 75 Israelis. There is no change in U.S policy toward Israel that will win any true allies in the Middle East, despite what Arab leaders claim. They often assert that if only we would solve the Palestinian-Israeli problem first, relations would improve. This is a tactic. These leaders employ it simply to divert Western officials from making demands on them, instead of on Israel. The reality is that most Arabs view the U.S., its European allies and Israel with ineradicable contempt. Remember the commentaries after 9/11 that "we should have been expecting something like this"? Some even implied that America was, in part, responsible for the attacks because of our one-sided policy toward the Muslim world, and in particular, "our support for Israel's occupation of Palestinian land." Remember also, though, the news reports about the cheering and dancing in Palestinian Arab neighborhoods on 9/11? Perhaps these celebrations resembled the high-fives and other macabre gestures of glee made by some Palestinian Arabs following the recent kidnapping and murder of three Jewish teenagers in Gush Etzion, near the ancient Judean city of Hebron. Guilt-riddled apologies for America's alliance with Israel can only be explained by ignorance, by disingenuous attempts to curry favor with Arabs, or for some, by a darker motivation. Given the pervasive Orwellian double standard applied to Israel by Western media and the often sanctimonious comments by U.S. and European politicians that Israel should be fearful of being internationally isolated, a reality check might be in order. First, there is no change in U.S. policy toward Israel that will win any true allies in the Muslim world, no matter what its leaders claim. They often assert that only if we would solve the Palestinian-Israeli problem first, relations would improve. This is a tactic. These leaders employ it simply to divert Western officials from making demands on them instead of on Israel. 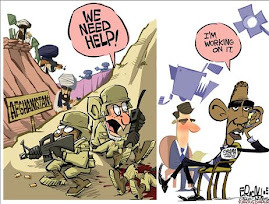 The reality is that most Arabs view the U.S., its European allies, and Israel with ineradicable contempt. No Arab state has recognized the legitimacy of a Jewish -- or often even a pluralistic -- state in Palestine. Egypt and Iraq have been persecuting their Christians, only because the Jews were all forced out already; and many Muslim countries cannot even abide each other, as seen every day in the Shia-Sunni conflict, still under way after centuries. This struggle between Israel and the Palestinians is not about land. 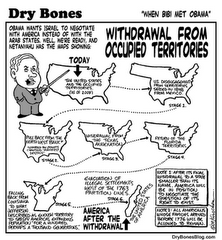 If it were, there would have been a two-state solution long ago. Former Palestinian leader Yasser Arafat would have said yes to the Camp David Plan offered by President Clinton and former Israeli Prime Minister Barak. The current strife between the Hamas terrorist movement and Israel is just another stage in the permanent state of Arab hostility towards the existence of a Jewish state in the region. While U.S. support for Israel has sometimes been described as a costly diplomatic albatross or a consequence of political influence by American Jews, the truth weighs in quite the opposite direction. 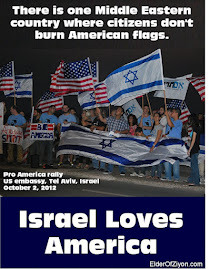 The Israeli-American alliance greatly benefits both nations. 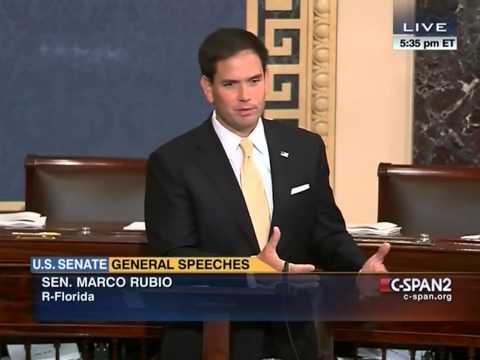 Senator Ted Cruz: Did President Obama just launch an economic boycott of Israel? 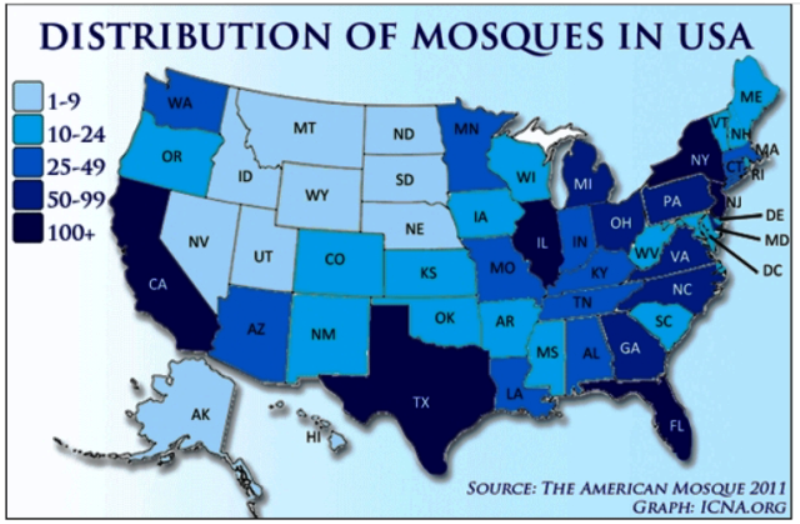 WASHINGTON, D.C. – U.S. Sen. Ted Cruz, R-Texas, today questioned the Obama Administration’s decision to ban flights to Israel while, at the same time, announcing continuing aid that will be funneled to the terrorist organization, Hamas. 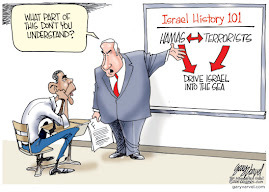 “Aiding Hamas while simultaneously isolating Israel does two things. One, it helps our enemy. 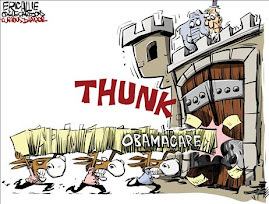 Two, it hurts our ally,” said Sen. Cruz. Sen. Cruz is asking the Obama Administration to answer five specific questions regarding the FAA’s decision to suspend flights to Israel. Sen. Cruz’s full statement is below. “Today, the Federal Aviation Administration (FAA) announced that it was extending its ban on flights by U.S. carriers into Israel. 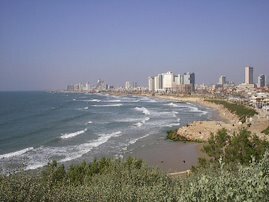 The rationale was that because one Hamas-launch rocket had landed in a field one mile from Ben Gurion International Airport, the ‘potentially hazardous security situation created by the armed conflict between Israel and Gaza’ necessitated this extreme action that has so far cancelled some 160 flights and left tens of thousands stranded. Israel deployed ground forces in Gaza Thursday night both because Hamas's terror tunnels into Israel have become an unacceptable threat, and because it had to break the deadlock that had developed between it and Hamas. Until the ground invasion, Israel and Hamas were in a holding pattern. Hamas would not accept a ceasefire deal because Egypt's offers provided the Iranian sponsored, Muslim Brotherhood terror army with no discernible achievements. And absent such achievements, Hamas prefers to keep fighting. Israel for its part is unwilling to make any concessions to Hamas in exchange for its cessation of its criminal terror war that targets innocent civilians in Israel as a matter of course. Hamas's terms for a ceasefire included, among other things, an open border with Egypt, egress to the sea, open access to the border zone with Israel, an airport, a sea port, and the release of terrorists from Israeli prisons. Obviously, if Israel agreed to even a few of these terms, its agreement would have constituted a strategic victory for Hamas. Given its previous experiences in war with the Hamas terrorist group in Gaza, Israel must choose between winning the public relations war or the military war. The best Israel can expect from the international, and especially from the western media is moral equivalency. While the French premier may issue statements against anti-Israel violence in Paris, France 24-TV carried a story on July 13, 2014 which portrayed the suffering of the Palestinians through the lens of a 17-year old Arab-Palestinian boy. The story completely ignored the reasons for Israel’s retaliation. Since Israel’s pullout from Gaza in 2005, the people of Sderot have endured thousands of rocket attacks. However, no comparable human interest story has covered the life of an average Israeli child. In the past 8 days Hamas has fired 1,261 rockets at cities throughout Israel targeting civilians. Each rocket has the potential to kill. There is no consolation for what happened, but explanations and conclusions, such as the army will raise in its debriefing, must be had. We and the nation of Israel suffered a serious blow, but the basic facts haven't changed -- we set out on a battle against Hamas not on a whim and not because of some politician's irresponsible rhetorical device, to wit, "patriotism," but because the ongoing threat on residents of southern Israel had to stop. This was clearly a no-choice war. 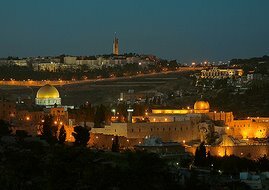 Another thing that hasn't changed: As Operation Protective Edge edges past its second week, Israel has definitely retained the upper hand and is steadily achieving each and every goal it laid out beforehand, namely, maximally reducing Hamas and other terrorist groups' terrorist and offensive capabilities in the Gaza Strip and securing calm for southern Israel. This war won't mark decisive battlefield victories such as in the Six-Day War or Yom Kippur War, and that isn't because either the Israel Defense Forces' might has been reduced or the enemy's bolstered (the opposite is true), but because the nature of war has changed. On October 14, 2013, Israel Hayom published an article that looking back shows how amateur an approach Israel took toward the tunnels in Gaza. It happened that hammering was heard one night at Kibbutz Ein Hashlosha. Some of the kibbutz members thought their neighbors were renovating their homes, but then they met and realized no home improvements were under way. One of them contacted me at the paper while others turned to the defense establishment, causing the tunnel to be exposed. But luck can't play a role every time, and Israel found itself facing a complex web of tunnel openings. If Hamas had managed to carry out its plan, Israel would have fallen victim to a deathly rash of kidnappings. The murder of the three teenagers Gil-ad Shaar, Naftali Frenkel, and Eyal Yifrach in Halhoul, Economy and Trade Minister Naftali Bennett argued on Monday, served in retrospect to throw Israel into gear to save itself from the threat. 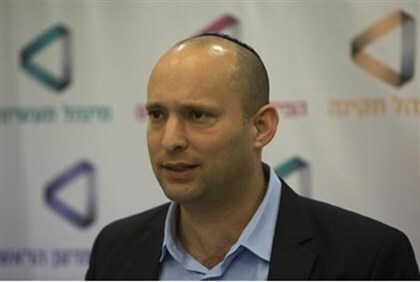 Bennett announced on Channel 2 that he would not let any cease-fire go into effect until every one of the Israel Defense Forces' brigade commanders said that he had successfully destroyed the tunnels. But Maj. Gen. (res.) Eitan Ben-Eliyahu said after leaving the studio that this would never happen because none of the brigade commanders would ever be certain that all the tunnels were in fact eliminated. EXECUTIVE SUMMARY: The Israeli military offensive in Gaza reflects the assumption that Israel is in a protracted intractable conflict. 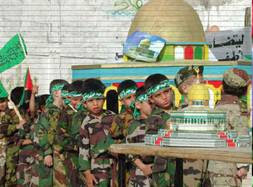 It is unlikely that Israel can purge Hamas from Palestinian society, nor is a political solution likely to be achieved. 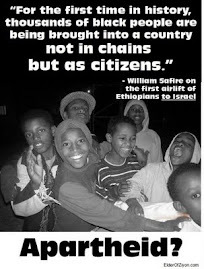 Instead, Israel is acting in accordance with a "mowing the grass" strategy. After a period of military restraint, Israel is acting to severely punish Hamas for its aggressive behavior and degrade its military capabilities – aiming at achieving a period of quiet. Hamas left Israel's government no choice but to order the Israel Defense Force (IDF) to start a land incursion. Hamas refused to accept the Israeli government's offer of "calm for calm," rejected the Egyptian cease-fire proposal and violated the humanitarian cease-fire initiated by the UN. It continuously fired over 10 days more than 1,500 missiles towards towns and cities of Israel, hoping to kill as many civilians as possible. Moreover, it uses tunnels in the attempt to kill Israeli civilians and/or kidnap them. Israel's goal continues to be the establishment of a reality in which Israeli residents can live in safety without constant indiscriminate terror, while striking a significant blow to Hamas' terror infrastructure. The Israeli government wisely has defined limited political and military goals for this offensive, in accordance with what we call a "mowing the grass" strategy. JewishWorldReview.com | In recent days, Israel has been hit not only from the Gaza end of the Fatah-Hamas pantomime horse but also from Lebanon and Syria. 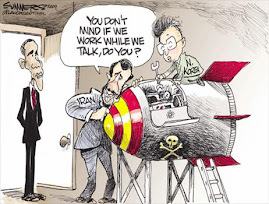 It's under attack not merely from a terrorist squat but from two sovereign states, all of whom are clients to one degree or another of a third, Iran. Had not General Sisi overthrown Mohammed Morsi and tossed him in jail, there might have been a fourth country happy to make mischief. 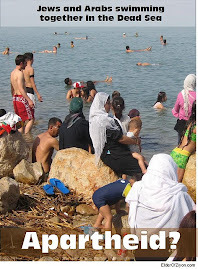 Meanwhile, across the Allenby Bridge in Jordan, Israel's least insane neighbor has seen its population swollen by 25 per cent from Syria refugees, and at its western frontier now borders the new caliphate of jihadist head-hackers. In the Sunni/Shia regional showdown between ISIS and Teheran's various subsidiaries, the two warring parties agree on little except that dead Jews brighten everyone's day. Take the displeasure aroused by the continually publicized disparity in deaths between Gazans and Israelis in the current ground operation to stop the rockets. Many critics seem affronted that Israel has taken great pains to protect its citizens by building bomb shelters and developing the Iron Dome anti-missile defenses, and so have suffered only 2 civilian deaths. They see the videos of dead Palestinian Arab children and blame those deaths on Israel’s “disproportionate response” instead of Hamas’ indifference to their own people’s safety. They ignore Hamas’s tactic of using their own women and children as human shields, ordering them not to flee the fighting, and storing explosives and munitions in tunnels under mosques, hospitals, apartment buildings, and schools, subterranean space that could be used to protect their people. 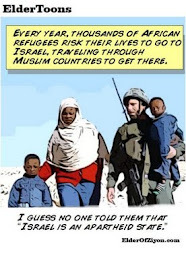 They wink at Hamas’ conscious aim to engineer such casualties in order to create the “propaganda of the deed,” the purpose of which is to elicit precisely the uncritical condemnations of Israel that European useful idiots reflexively provide. They disregard Israel’s unprecedented efforts to warn civilians that bombs are headed their way––phoning them on cell phones and land-lines, sending text messages, scattering leaflets, and dropping warning duds on the roofs of targets. And of course, the Israel-haters don’t care that Israel’s actions are always a defensive response to terrorist aggression. In an interview on Sky News, Economics Minister Naftali Bennett gave an interviewer a lesson in what Israelis have been experiencing. Bennett has been making the rounds of international news outlets in recent days, explaining Israel's position and discussing how Hamas was turning Gaza residents into human shields. The interview on Sky News was supposed to follow the same pattern, but the extremely hostile attitude of the interviewer drove Bennett to toughen his stance – and presentation. hunted by the Israeli warplanes"
as the Nazis did in Europe in the 1940s"
claiming Israel's evacuation warnings are "false"
in order to destroy them." During the current conflict between terror organization Hamas in the Gaza Strip and Israel, Israel has been warning Palestinian civilians ahead of Israeli bombings to evacuate their homes in order to minimize civilian casualties. Hamas has continuously instructed Palestinians to ignore the warnings and stay in their homes, in order that they may act as human shields to protect Hamas terrorists, their weapons and tunnel systems. Palestinian Media Watch has documented that Mahmoud Abbas' Fatah party expresses support and unity with Hamas in its war against Israel. "Al-Aloul said that the occupation government is continuing to step up its crimes against the Palestinian people, the most barbaric being the sending of messages to residents of entire neighborhoods in the Gaza Strip, ordering them to evacuate their homes in order to destroy them. The Commissioner of the [Fatah] Mobilization and Organization [Commission] said that the occupation government is seeking to carry out a plan to expel a larger number of Gaza Strip residents, and to repeat the expulsion it has been carrying out against the Palestinian people from the Nakba to this day." 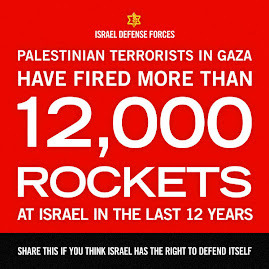 Israel, they say, harumph, has the right to defend itself, but… But not entirely. Both sides are asked to act with restraint. Not exactly both. 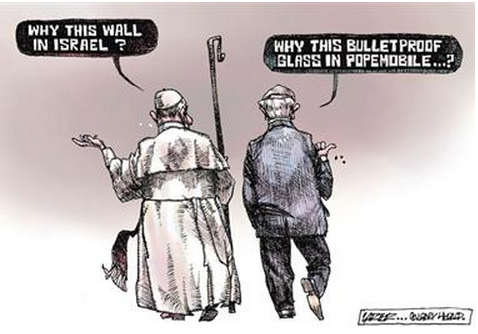 Because the conflict is lopsided: 37 then 58, 102, and now more than 200 Palestinians killed. The vast majority, according to Palestinian sources, are civilians. Women, children and the elderly, to say nothing of the thousands of wounded. On the other side, zilch. That’s it, the stage is set, the lethal narrative has wheels and it’s going to be fueled daily, automatically, unapologetically. How might Hamas act with restraint? Its goal is to kill all the Jews and occupy all the territory from the Jordan to the sea. Whereas the Israelis want zero dead, zero wounded, and the pursuit of a productive life in an intact nation. So what would restraint amount to? 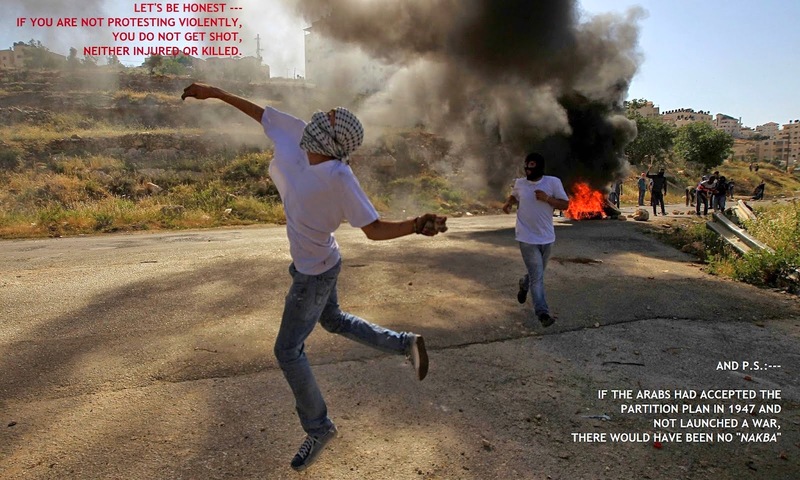 Hamas would kill half the Jewish Israelis? There is no justification for this cooking-the-books vision of a confrontation with worldwide ramifications: The frontier between civilization and savagery runs along the Gaza-Israel border. Col. Rassan Alian, a Golani Brigade battalion commander, was moderately injured last night when he was hit by shrapnel. Doctors where he was hospitalized insisted it wasn’t time for him to leave the hospital yet. But the colonel objected: "I have a lot of soldiers over there and I need to get back to them." Over 30 IDF soldiers have reportedly been injured in Sheijaya, Walla! News reports Sunday, after the IDF carried out heavy shelling in the city east of Gaza City. The strike reportedly involved huge forces in tanks and artillery. Since starting the ground phase of the operation on Thursday night, the IDF has killed 130 terrorists and wounded 800, a senior official updated Sunday morning. Palestinian Arab networks claim that "dozens" have been killed in the shelling, which extended from Saturday night to Sunday morning. Among the dead are the family members of senior Hamas leader Khalil al-Haya, according to multiple sources, after their house was shelled in Gaza City itself. Hey, people are shooting here! We're talking, arguing, discussing, and wrangling 24 hours a day, seven days a week. Could we ask for a little radio silence? Just for the near future. At this stage, when our sons are fighting in the Gaza Strip for their homes and their country, could we maybe stick to practical analysis and facts? After the war we'll have plenty of time to revisit to the old arguments and fights that have followed us since 1967. They won't let us be, anyway, and we won't let up on them. Only a month ago we drew so much from the great spirit of three mothers and fathers after their children -- Gil-ad Shaer, Naftali Frenkel, and Eyal Yifrach -- were kidnapped. The wind in our sails steered our ship on a straight course, in unity and strong faith. Now we have all the reasons in the world to keep praying. Together -- observant and secular, Left and Right, in different languages -- but with a single heart, like we did then. That spirit made slogans and cliches tangible. It made us acknowledge good and brought out the best in us: the ability to give thanks, love for soldiers and for the state, togetherness and what bring us together and concern for each other and a shared fate. That spirit shoved evil and cynicism and disagreements and divisiveness aside. Just as Hamas uses its civilians as human shields against Israeli military attacks, so the Israeli government uses its civilians as human shields to fend off diplomatic attacks from the international community. The most righteous of men cannot live in peace if his evil neighbor will not let him be. – Jamie Shea, NATO spokesman, BBC News, May 31, 1999, on civilian casualties inflicted by NATO in the Balkans. As Operation Protective Edge – which could have been dubbed “Pillar of Defensive II” or “Cast Lead III” – drags on, it is becoming increasingly clear that the government is misconstruing its role..